This big, powerful gelding is a product of our own breeding. His dam is the outstanding mare, RG Black Sentola, who has never let us down, and here is proof of another successful mating to RG Stuartâ€™s Monarch. 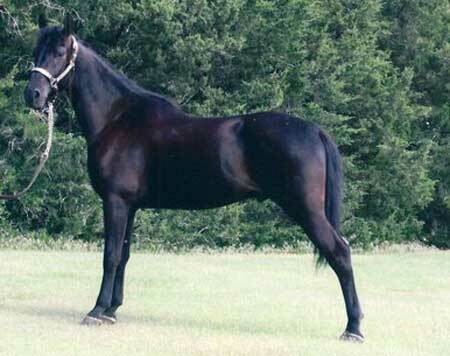 Rich is used here on the ranch and he excels in the show ring under saddle and in harness. His ground covering trot and disposition is an example of the Flyhawk traits that we are breeding for.